Being back from the Provence region in Southern France for a few weeks now, I think it’s time to give an update and some feedback on this one-week-trip. I've visited the region between Marseille and Avignon ; parts of the Vaucluse, Lubéron, Languedoc-Roussillon and Bouches-du-Rhône. 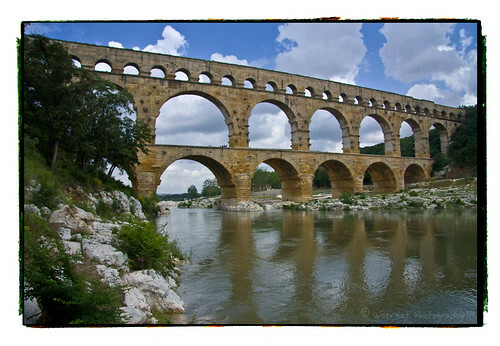 The Pont du Gard is an aqueduct in the South of France constructed by the Roman Empire. Built on three levels, the Pont is 49 m (53 yards) high, and the longest level is 275 m (300 yards) long. It was long thought that the Pont du Gard was built by Augustus' son-in-law and aide, Marcus Vipsanius Agrippa, around the year 19 BC. Newer excavations, however, suggest the construction took place in the middle of the first century A.D. Designed to carry the water across the small Gardon river valley, it was part of a nearly 50 km (31 mi) aqueduct that brought water from the Fontaines d'Eure springs near Uzès to the Castellum in the Roman city of Nemausus (Nîmes). Bonnieux is one of the many historic "hill villages" in the region. 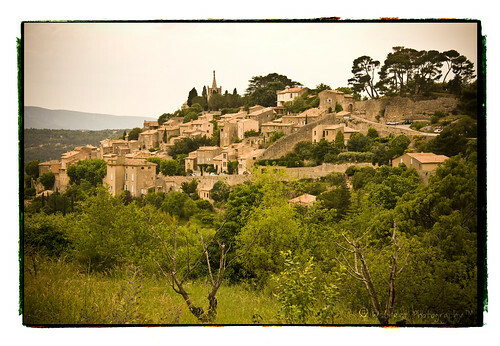 Dating back to Roman times, it rests on top of the Luberon hills casting a watchful gaze across the rest of the valley. Next to the village is a Cedar forest that began with trees imported from North Africa during the Napoleonic era. 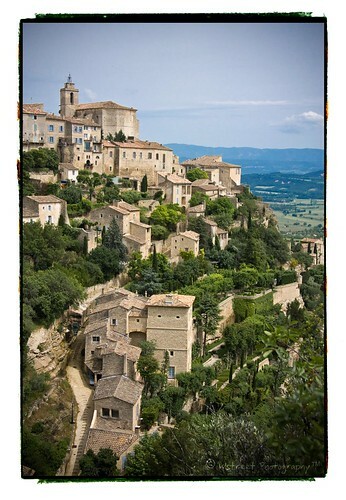 It sits opposite Mont Ventoux, other notable villages in the area include Ménerbes, Lacoste, Rousillon and Gordes. 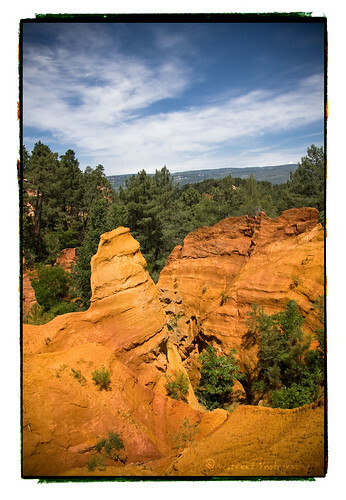 Roussillon is a village in the Luberon area of the Vaucluse department in southern France. It is noted for its ochre deposits. We stayed at a lovely 6 houses property called Roque-Blanc in La Roque-d'Anthéron. 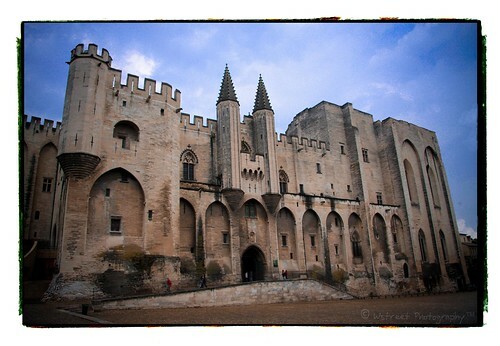 I sure will get back to Southern France, there 's so plenty stuff to see and to visit .. up to the next trip!